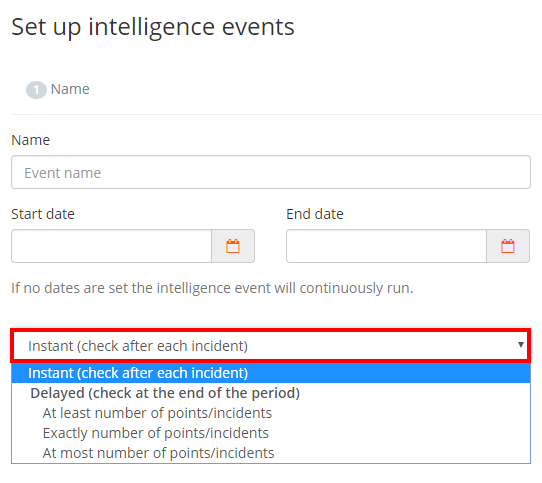 By default, intelligence events will trigger as soon their criteria has been met. This can be changed so that the event is delayed until the end of the day or week. To set up a delayed event, click on the Analytics tab at the top of the page. Next, click on Intel events in the menu on the left hand side. This will direct you to the list of the intelligence events that have been set up in your school. You can either create a new intelligence event or edit an existing one. The event will fire if the pupil has met or exceeded the ammount points/incidents required by the end of the chosen time period. The event will fire if the pupil has been awarded the exact ammount of points/incidents by the end of the chosen time period. The event will fire if the pupil has met or has less than the ammount of points/incidents required by the end of the chosen time period. If you selected a delayed option, a popup message will appear, warning you to set up your school holiday information on the holidays calendar. Doing so will prevent the delayed event from firing outside of term time. 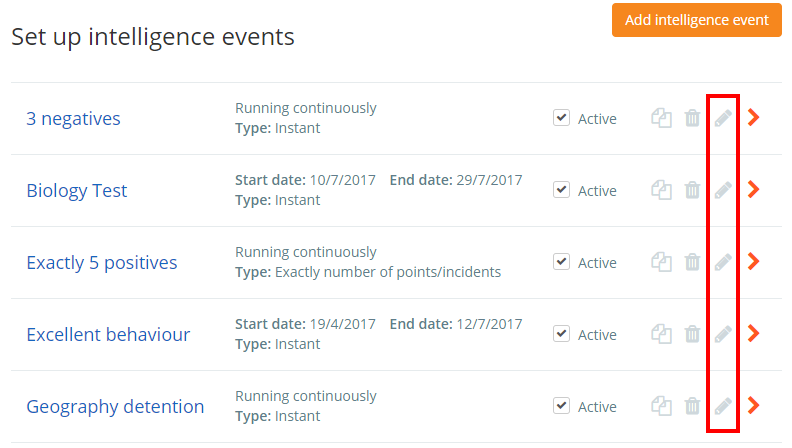 Once you have decided how to track the required points / incidents, you will need to specify the time period when the delayed event will fire. 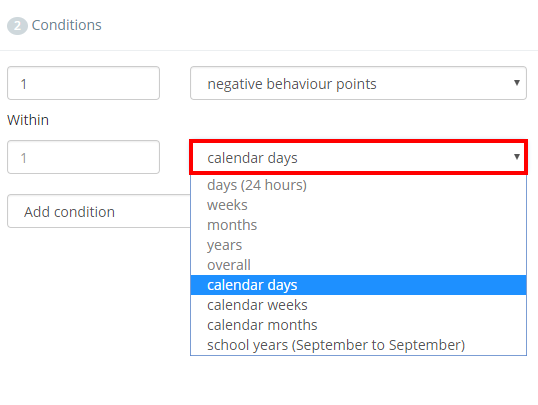 Select a timeframe option from the drop down menu at the bottom of the Conditions column. Click on the Save event button to keep your changes once you have finished.